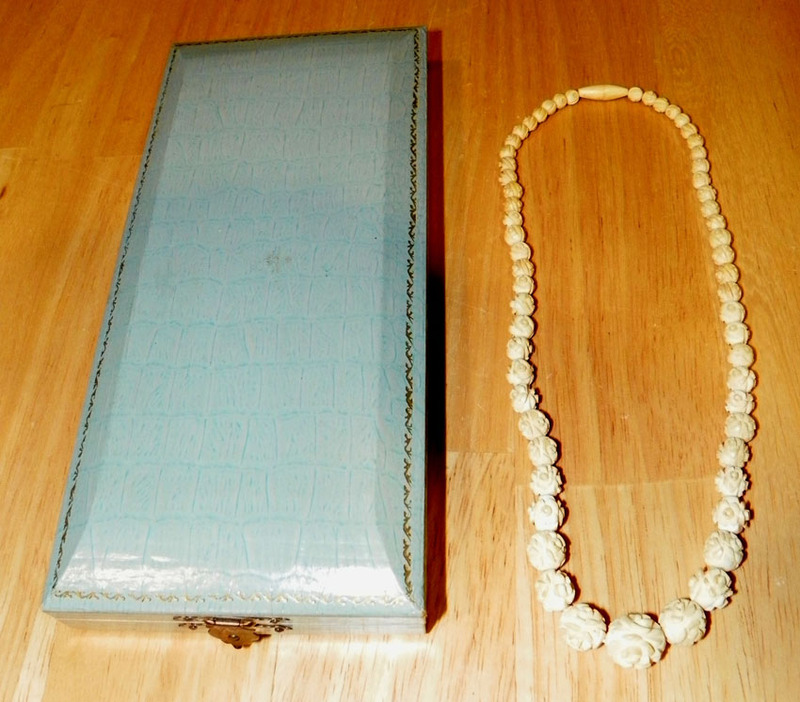 Kita Shoji K. K. of Tokyo, Japan Vintage Hand Carved Ivory Pikake Flower Blossom 18 inch Necklace. 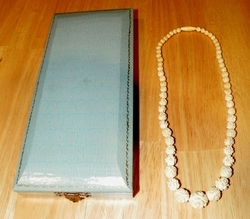 The necklace is composed of hand carved beads in the form of Hawaiian Pikake flower blossoms. It has a screw clasp. The back of the case states Pickackee-Flower, but it looks like roses. Condition: All of the beads are in perfect condition, I don't see any broken. This is a family estate piece, never worn, purchased in Japan in the early 1950's. 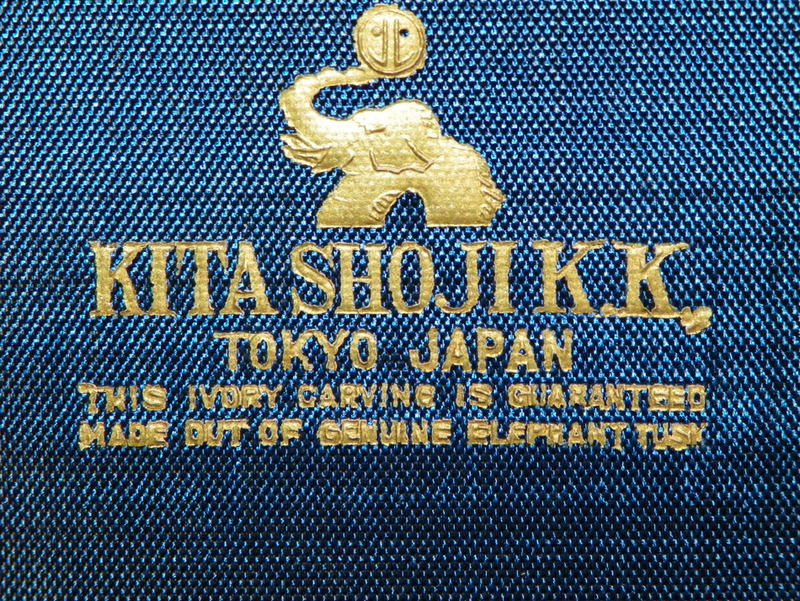 The inside of the case is stamped "This Ivory Carving is Guaranteed Made Out of Genuine Elephant Tusk". 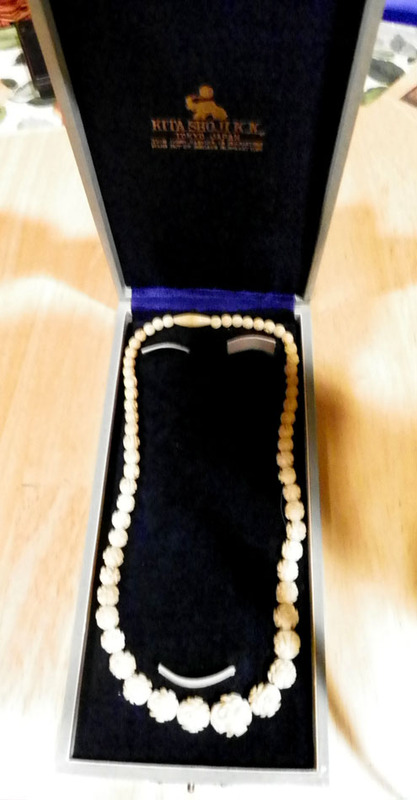 The ivory has the normal yellowing and browning due to age, and ivory is never cleaned, but left with natural coloring.